The now standard new technology presentation was how the new sleek XBox ONE was introduced, snappy video demos and an upbeat delivery that all is about to change in the world of home entertainment. XBox one sits on 3 operating systems, one developed for gaming and another to work with windows applications. The new system is voice activated, you just say "XBox On" and the Xbox ONE will start up along with your TV. The presentation was flaws with the XBox responding instantly, and this is something that the makers want to highlight. Other parts of the XBox ONE includes live TV from your TV through a HDMI cable, this will hopefully mean that the XBox won't have to worry about worldwide TV standards as long as the user has their own TV installation. New live action content was announce with the arrival of HALO the TV series from director/producer Stephen Spilberg, while XBox is working with ESPN to provide live sports and the announcement that their will be 15 exclusive games in year one. 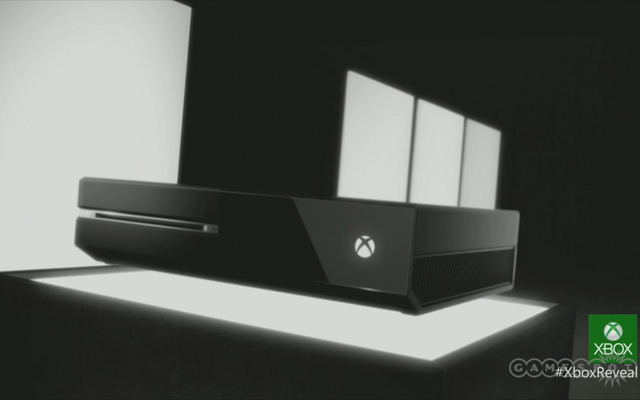 The XBOX One is a glossy black box with a white and sliver logo. It comes with a new joy pad and a camera for kinect and video calls. With Xbox ONE microsoft joins the Social media revolution. Microsoft aim to place all entertainment in one place, that is designed for the users own preferences. The 8-core x86 processor give instant reaction for gameing and entertainment apps. A HDMI PASS-THRU that allows live TV without switching the XBOX and back to TV. 8GB of RAM and 500GB hard drive allowing for plenty of memory for games, demos, movies, tv, apps and more and a its topped with a Blue-ray player. Microsoft have developed a gaming architecture that sits with their windows operating system. This allows users run a host of apps along side games without loss in performance. Xbox is always ready when you are, ready to "jump around" from one entertainment experience to another in an instant. Watch the game with friends on skype with a split screen. XBOX LIVE is built on the power of the cloud. The cloud connects you to other XBox users, music, TV shows, movies, news and sport. Xbox live gold membership works on both the 360 and ONE. Living gaming technology allows your game play to be shadowed by your friends as the play against an artifical intelligence that learns to play as you do. XBOX ONE installs and updates in the background as you start to play, this means that game play and entertainment won't be interupted. You can pick up from where you left off on any XBOX ONE. The Kinect has also changed with Real Vision that allows for a greater field of view, an inferred camera for the dark and 3D technology that knows if your off balance. Real Motion tracks even the slights of gestures, so a simple squeeze of a hand puts you in precise control over a game. Real Voice which alows the Kinect to listen for important sounds, allowing it to hear even in a crowded room. Real Voice allows users to move from one experience to the next anywhere on the system. The Kinect also includeds a HD camera. The gaming controller is also designed with users in mind with grips that fit a range of hand sizes, kinect monitors whos playing and from which controller, vibrating impulse triggers for jolts, weapons and crashes. A newly designed thumb grip and Dpad. Other products with the Xbox include Xbox SmartGlass that interacts with your smartphone or tablet.